A South African journalist was outraged when white spectators supported the New Zealand Maoris rugby team against the touring Springboks at Napier. ‘Spectacle thousands Europeans frantically cheering on band of coloured men to defeat members of own race was too much for Springboks, who frankly disgusted,’ he telegraphed. The tourists held on to win 9–8. When the cable was published in New Zealand Truth, the Springboks’ manager did not deny that his players had been upset by remarks from the crowd. Nevertheless, the team ‘had the greatest admiration for the Natives as a race.’ The telegraphist found to have leaked the cable was later fired. With ‘the Rugby championship of the world’ about to go on the line in the third test, the controversy soon blew over. But it highlighted an issue which was to fester for most of the 20th century. Opposing sporting contacts was increasingly seen as a way to exert pressure on South African racial policies. Things came to a head during the controversial 1981 Springbok tour of New Zealand (see 12 September). 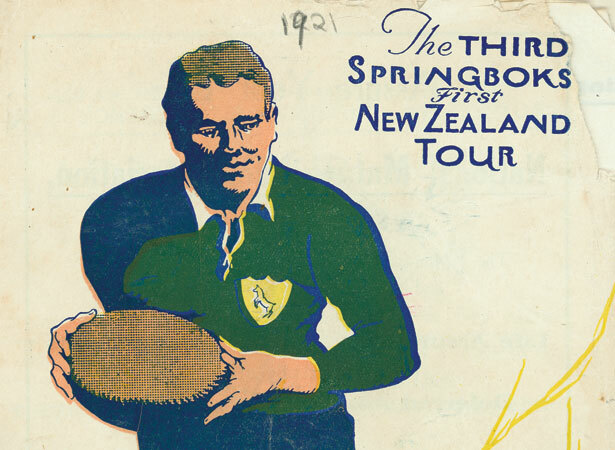 We have 15 biographies, 6 articles, related to Springboks play New Zealand Maoris for first time.